Thoracic outlet pain can come from neurological or vascular compression in the brachial plexus. Thoracic outlet syndrome is the name of the condition which causes either type of tissue compression in the cluster composed of nerve roots from C5 to T1. Anatomically, this region is made up of the middle to lower cervical vertebral levels, as well as the cervicothoracic juncture. Thoracic outlet symptoms range from patient to patient and depend on the exact tissues involved in the nerve or circulatory vessel compression. The degree and location of pain varies and is often mistaken for other possible causes, such as muscular injury, repetitive strain, spinal abnormalities or other origin in the larger neck anatomy. This dialog focuses on defining and explaining pain that is sourced in the brachial plexus and diagnosed as thoracic outlet syndrome. Being that the tissues potentially affected in thoracic outlet range greatly, the symptoms presented might also enjoy a wide variation from patient to patient. Pain is the primary symptom of most cases of neurogenic thoracic outlet syndrome and is usually one of the symptoms of venous or arterial thoracic outlet. Pain might be present in the base of the skull and throughout the neck. Pain might be localized, shooting or regional in the neck. Some patients experience pain behind the ear or wrapping around to the corner of the jaw. Rarely, pain might be expressed in the frontal neck region or throat. Pain in the upper back, in between the shoulder blades and into the shoulder itself is very common. Some patients might also express pain in various locations of the arms and/or hands. 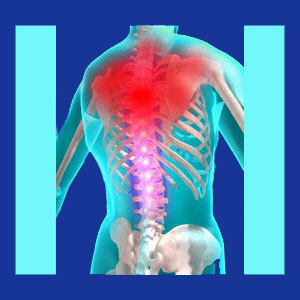 A few patients will experience pain in the axilla, upper ribs on the flank of the torso or even upper to mid chest pain. There may or may not be “hotspots of pain” where neurological compression is actually taking place. In venous and arterial forms of TOS, localized pain is usually present. Both varieties of thoracic outlet can occur unilaterally or bilaterally, but single sided expressions are far more commonly diagnosed clinically. Since neurogenic forms of thoracic outlet compress nerve tissues that are designed to carry messages between the brain and specific parts of the body, it is common for patients to experience pain at the site of compression, as well as in the anatomical destination of the affected nerve. Even though a nerve root might be compressed near the upper spine, symptoms might be expressed in the hand or fingers, a great distance away. In cases of circulatory vessel compression, a diminished pulse will likely be present and the patient will demonstrate signs of structurally-motivated ischemia locally, regionally or even a distance from the point of compression, depending on just how severe the restriction in blood flow actually becomes. In the worst cases, patients might even display tissue necrosis from a complete lack of circulation to particular areas of the anatomy. This is obviously an extreme case profile that warrants emergency medical intervention from highly qualified physicians to resolve. Being that all types of thoracic outlet are case-specific, symptoms can range from minor to severe and may change or move in response to alterations in the pattern of nerve or circulatory vessel constriction. Some patients might experience static symptoms, while others suffer highly variable patterns or completely pattern-free pain that is difficult to predict. All of these potential variables make the diagnosis of thoracic outlet a very difficult science, which explains why so many people are originally diagnosed with something else first and eventually labeled with the TOS diagnosis as a revision conclusion after failure of treatment for the original condition. The usual reason for any type of thoracic outlet syndrome to occur is tissue impingement by one or more of the various muscular tissues that reside in the region of the nerves, veins and arteries. These muscular tissues can be part of the upper back, neck or shoulder anatomy. This compression might occur due to spinal or other skeletal abnormality, muscular anatomy abnormality, the development of a neoplastic process, cyst or other growth or due to the common incidence of muscular injury or degeneration. Since there are many locations where compression can occur and many tissues that can be affected, diagnosis is often a slow and difficult process, particularly in cases that mimic other possible causes of regional pain. Remember, many identical pain syndromes are typically blamed on spinal irregularities, such as herniated discs, osteoarthritis and spinal curvature variations. Being that disc and bone degeneration is virtually universal in the middle to lower neck region, there are often many possible causes already present to explain symptoms without the diagnostician even considering the possibility of thoracic outlet. Statistically, most patients who are diagnosed with thoracic outlet and successfully treated must usually endure unproductive treatment for one or more inaccurately diagnosed suspected causes first. It is so common for TOS patients to first undergo disc surgery, laminectomy or other procedure which fails to deliver a good outcome, since the actual symptomatic compression occurs after the nerve leaves the spinal anatomy. Thoracic outlet is yet another perfect example of how diagnosis is one of the least accurate and most poorly executed portions of back and neck pain care. If the diagnosis is not valid, then subsequent care will fail. It is as simple as that. Patients must remember that thoracic outlet should always be investigated if nerve or circulatory vessel compression is suspected elsewhere, especially if the suspected source is what usually amounts to an innocent and incidental factor, such as a bulging cervical disc.